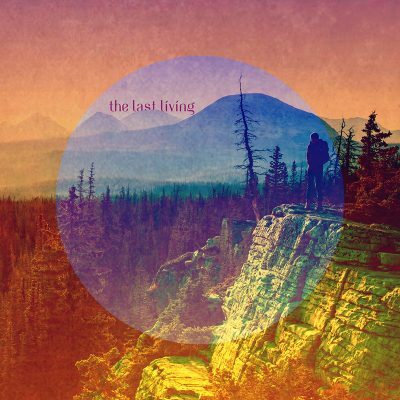 The Last Living’s self-titled album has a handful of really great, emotional tracks that are stirring, heavy-hearted and uplifting all at the same time. The vocals, both up front and in the background, are haunting at times, but stellar throughout. The style and tempo of the album is one that could fit perfectly around a campfire, with a tight-knit group of people keeping time by tapping their leg and humming the simple yet powerful melodies. The music’s attributes might also be a perfect fit as a soundtrack to someone’s life that might be contemplating all of the events that have led them to their present while using that information to determine what path to take next. Much of The Last Living is sparse, with only the vocals and a guitar. Songs like “Older (Where We Lost Our Dreams)” and the deep, Bon Iver–like “Brother” are prime examples of the album’s stripped-down power. While the more scant songs are good, the best, and those that will linger, are the more complex and sonically dramatic. With breathtaking harmonies, steady percussion and a little bit of contrast, tracks like “I’m Still There” and “Pins & Needles” are easy candidates for the repeat button. In fact, the first track on the album, one that features multiple layers of sound, “Respect The Beauty” had me stuck for some time before I finally allowed myself to move on to what came after.